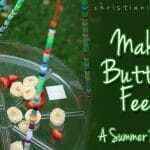 Here’s a new spin on the traditional freeze dance game! 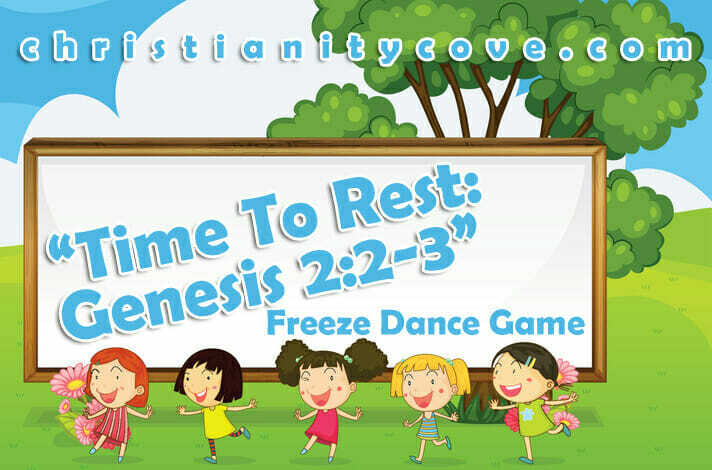 It uses the bible verse Genesis 2:2-3, combined with a game of freeze dance to teach children about the importance of rest. Children will try to control their dance moves after they hear the music stop. Happy summer! We spent all of fall and winter and spring working and learning at school. From September until June we used up all of our stored energy. And now that school is out and summer vacation is in, we are ready to build that energy back up again. 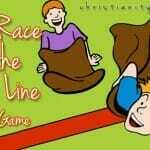 Let’s play a game to better see what I mean. Have children spread out in the room. 1. When all children are ready, press PLAY on the music player. 2. The children will then begin to dance and move around in their spots. 3. After fifteen to thirty seconds, press PAUSE. 4. The children will then have to freeze in whatever position they happen to be in. 5. Have the music paused for another fifteen-thirty seconds. 6. If any child moves during that time, they are out. 7. Hit PLAY again and the children will again begin to dance. 8. The game continues until there is one student left. The Bible says “By the seventh day God had finished the work He had been doing; so on the seventh day, He rested from all His work. Then God blessed the seventh day and made it holy, because on it He rested from all the work of creating He had done (Genesis 2:2-3).” When the music played during our game, we danced and used up a lot of our energy. But when it stopped, we stood very still and waited for the music to come back again. During our “freeze time”, we were rebuilding the energy we lost during “dance time”. When God was creating the earth, He had worked so hard the first six days and by the seventh, He wanted to sit back and enjoy what he’d done. We work so hard during the months of school and when summer comes around, we need some time to have a break. If we are constantly learning and being creative, we might burn out. Having a break gives us a chance to rest, that way when September comes around again, our minds feel fresh and relaxed and we’re ready to face another fun year of learning and creativity. 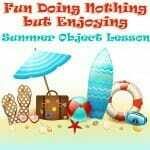 Be sure to check out our other great summer lesson ideas, crafts and activities! And don’t forget to Become a Fan on Facebook, Follow Us on Twitter and Come Hangout with Us on Google+! 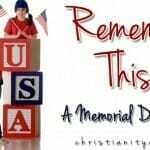 Memorial Day Game: Remember This!